Besides exceptional audio quality, the Stage Series also shines through in terms of connectivity across PC and consoles, including PS4, Xbox and TV. 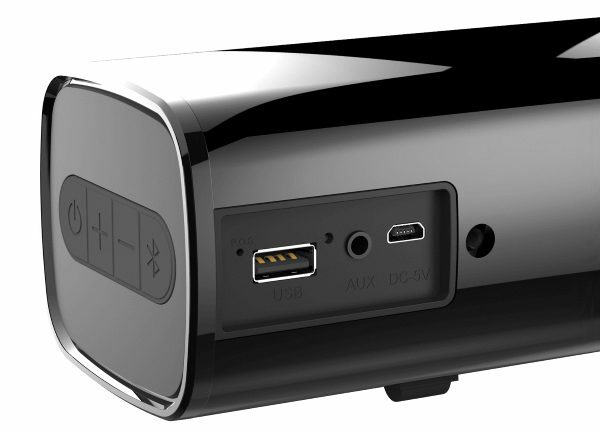 Both Stage and Stage Air feature wireless streaming from audio devices via Bluetooth technology, sport an AUX-in port for analog input, and a USB port to function as a standalone MP3 player. Priced at under £70, the 21-inch long Creative Stage packs a mean audio punch with dual custom-tuned, powerful mid-range drivers, coupled with a long throw side-firing subwoofer that is capable of providing room-filling, rich cinematic acoustics with remarkable bass response. 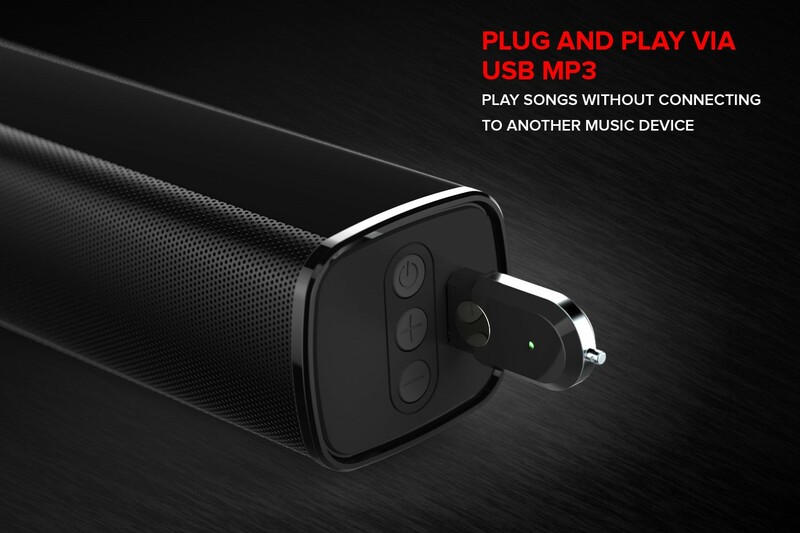 The convenience factor is upped through a remote control so that users can directly access playback options, volume adjustment, input selection, EQ profiles for movies, music, concert and gaming as well as bass and treble settings. The Stage easily fits on PC desktops or living room entertainment centers. It can be connected to TVs via optical-in. For a clutter-free look and feel, a wall-mount accessory kit is included. The portable Creative Stage Air is also right at home as a PC audio enhancement. 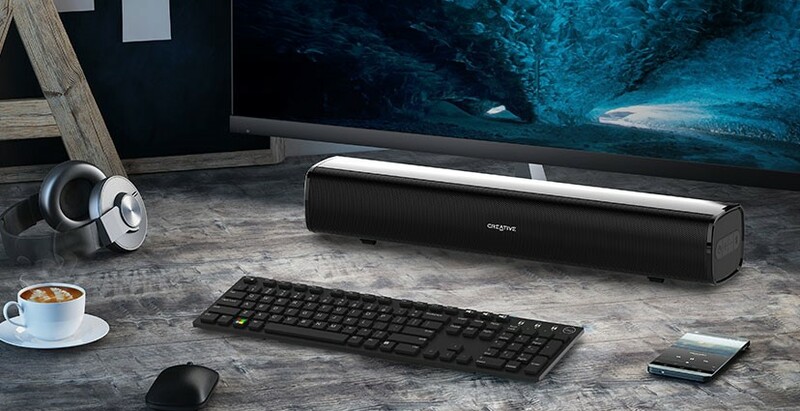 The Creative Stage Air is nifty at 16 inches long, yet it shouts expansive audio quality, being powered by two custom-tuned, full-range drivers with an oversized radiator for an enhanced bass response. 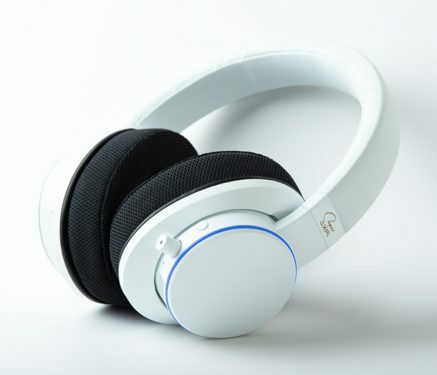 The high portability factor shows through a built-in lithium-ion battery, allowing users to listen to their favorite tunes anywhere for up to six hours. Both Stage (top) and Stage Air (above) feature a comprehensive suite of connectivity options across PC and consoles. *Based on moderate volume level. Actual battery life will vary with use, settings, songs and environmental conditions. The Creative Stage and Stage Air are available at GBP69.99/EUR79.99 and GBP34.99/EUR39.99 respectively at Creative.com. For in-country retail store availability, please refer to authorized dealers.